First: Select the radio button on the red bar for Tokyo Disneyland and the blue bar for Tokyo DisneySea. Second: Page through the calendar to find a month that you are considering for your visit. Third: The colors and numbers on each date indicate the predicted crowd levels. 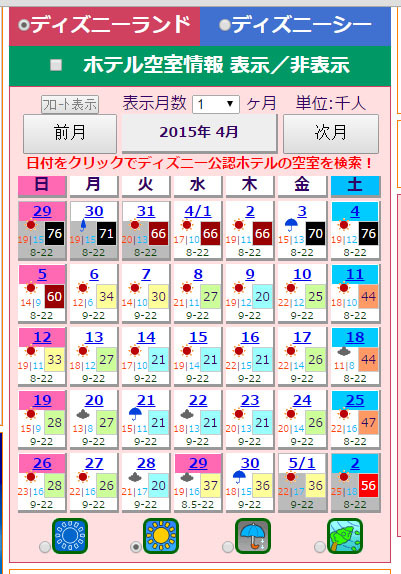 There is a key below the calendar with a ranking of the colors from lowest to highest crowd levels. White is the lowest, light-blue is the second lowest, and black is the highest. Before my trip, I read review after review detailing miserable experiences of waiting several hours to ride the most popular rides at Tokyo Disneyland and Tokyo DisneySea. I visited on "light-blue" days. The parks felt wonderfully uncrowded, and most rides had a wait time of less than ten minutes. The longest wait on the days that I visited was 90 minutes. 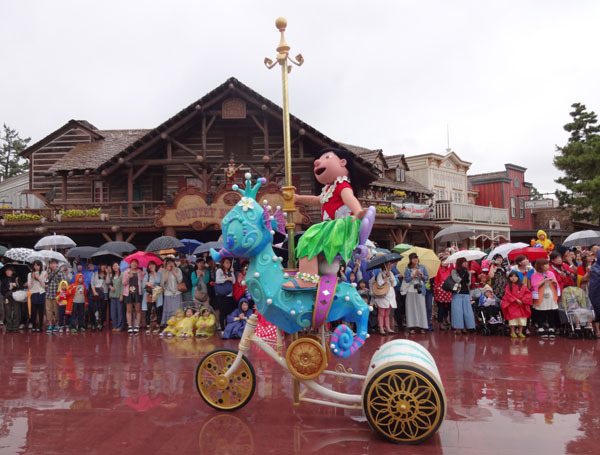 Although there are no guarantees, Tokyo Disney Resort's official website lists, in English, anticipated ride closure dates. Unless you spend a few days at each park, you won't be able to visit every attraction and show. You can save time by figuring out what you want to see and do on Tokyo Disney Resort's official website in advance. There is a section, in English, that offers descriptions of every ride and show, as well as brief video of many of the attractions. I typed up a list of my must-dos, took it with me to the parks, checked off each attraction after experiencing it, and was satisfied after one full day at each park. In Tokyo it rains a lot, especially in the early summer. In the winter, it snows. I visited Japan in mid-June, before Japanese schools began their summer vacations, to avoid the crowds. It rained on about 75% of the days of my two week vacation. I could not have enjoyed full days at the parks without a waterproof jacket, a fleece sweater, quick-dry pants, quick-dry shorts, a well-constructed tiny umbrella, a water-resistant backpack, and watershoes. I also used zipper storage bags to protect and organize my belongings inside my backpack. Every printed sign that I saw at the Tokyo Disney Resort included words in English, but most people that I encountered in Japan spoke and understood very little English. 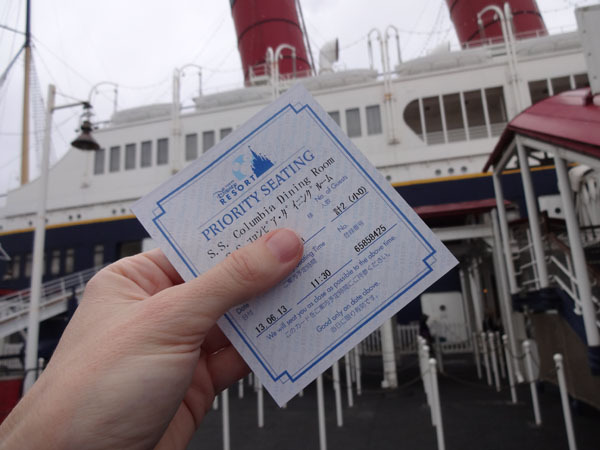 I rode the monorail twice and enjoyed the theming inside and outside. The monorail windows were Mickey-shaped. Some of the interiors were elaborately decorated with murals featuring the characters. The handles hanging from the ceiling had a Mickey theme. The Disney Resort Line monorail, unlike those at the Disney parks in California and Florida, is not free to ride unless a special card (given only to Tokyo Disney Resort hotel guests) is presented. For non-Disney hotel guests, riding the monorail cost 250 yen each way. 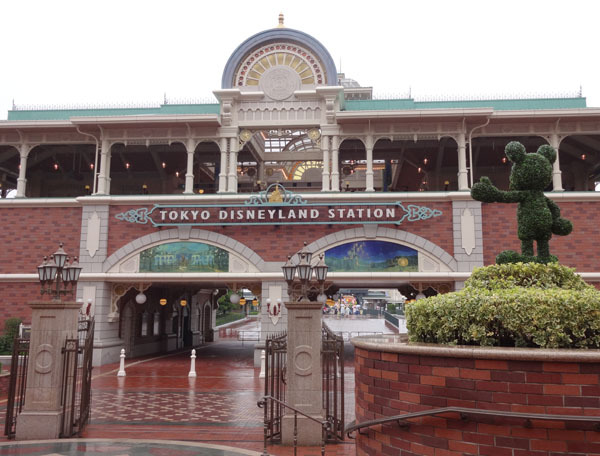 If you take the public train from Tokyo to the Tokyo Disney Resort, you will arrive at Maihama Station. 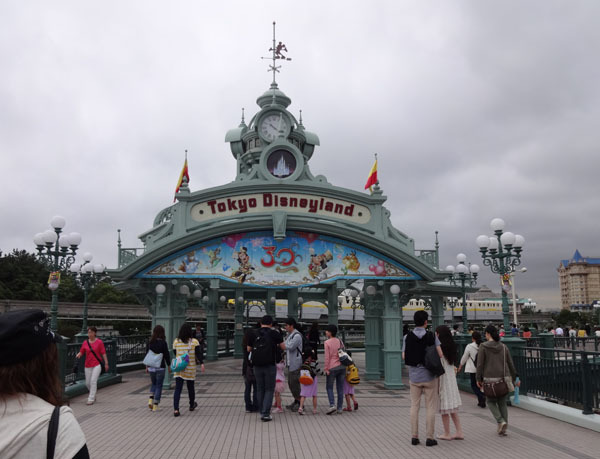 It is a quick, easy walk from Maihama Station to the entrance of Tokyo Disneyland. It is a long, confusing walk from Maihama Station to Tokyo DisneySea, but it is quick and easy to get there by monorail. 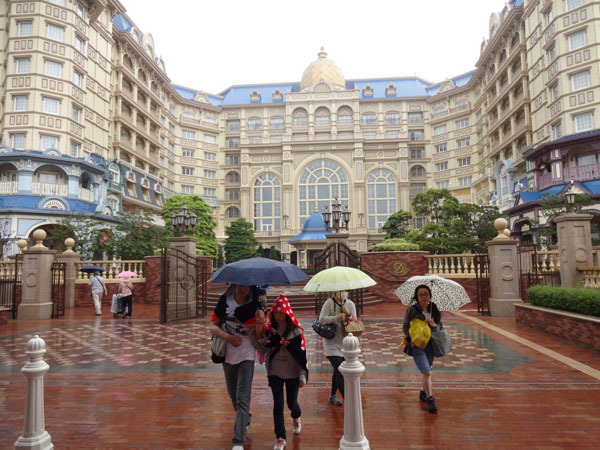 Even if your hotel is outside the resort, you might want to pay the Tokyo Disneyland Hotel (across from the entrance to Tokyo Disneyland) and Tokyo DisneySea Hotel MiraCosta (attached to Tokyo DisneySea) a visit. Explore the hotel lobbies and consider a having a meal in one of their restaurants. Located between the two Disney parks are the Disney Ambassador Hotel and Ikspiari (an outdoor shopping mall); I would skip these if time is tight. 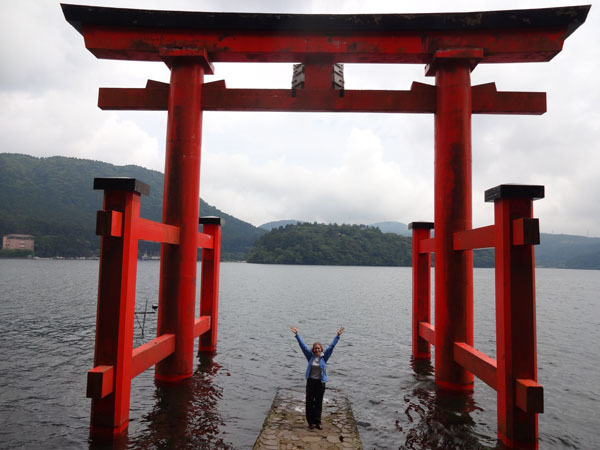 My time at Tokyo Disney Resort was filled with vacation highlights, but I also had some amazing experiences outside of the resort: we saw temples and shrines, hiked, met and fed wild Japanese monkeys and deer, and ate traditional Japanese dishes at small local restaurants. 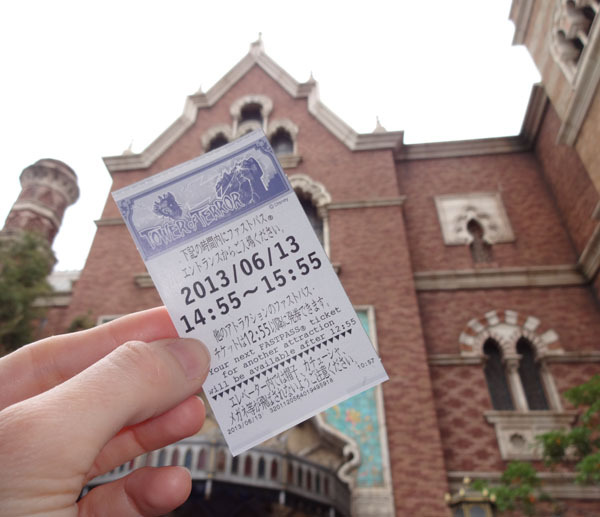 I most recently visited Tokyo Disney Resort in June 2013.